A journey in a time-less dimension, a merge of the warmth and the energy of southern Italy and the magic of the dances that just a music rooted into the Mediterranean millenary melting pot may pass on. 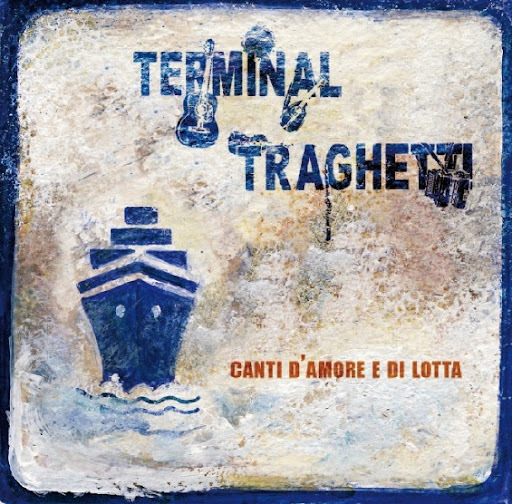 TERMINAL TRAGHETTI is a band based in Turin, that operates in the piedmontese folk scene, proposing the musical heritage of the south. Although its core repertoire relies on traditional songs of love and struggle, such as pizzica from Salento, tarantella from Gargano and tammurriata from Naples, a part of the music has been revisited and rearranged in a personal manner, contaminating it with typically different rhythms, such as waltzers, scottish and french mazurkas, and enriching the sonorities with their own interpretations. After more than 5 years of activity and >200 live concerts, pushed by the passion and the desire to enrich its musical and cultural baggage, TERMINAL TRAGHETTI has become a well-known and appreciated band in the national and european folk landscape, performing on many stages of Italian and international cities. Traces of the group's transit can be found in many festivals, some of which are: Ecofesti'ball (Septfond, FR), Boulegan (FR), Nuit du Folk (Dioise, FR), Gran Ball de Catalunya (Girona, ES), Folkarria (Madrid, ES), Festibalzen (Foix, FR), Vacanze Romane (Roma, IT), along with some distinguished venues in piedmont - Maison Musique and Hiroshima Mon Amour.